What does the name of the second EP from Very The Jerry mean? The essence of the concept is hidden between the lines and lyrics of the new songs. But here is what we can understand: his “Toy Gun” shoots right at the target of delivery ! Five out of five. Each of the release tracks are potential hit in a new way for Jerry. Gaining momentum rap artist from Kiev with the release of a fresh mini-album found an interesting and distinctive sound at the intersection of hip-hop and reggae. His new flow illuminates the hot rays of the sun of Jamaica and the sultry rhythms of dancehall. Groovy, summer vibe and, at the same time, quite deep texts. Jerry says some important things: “For me, this release is more than just a collection of new words or songs. This is an ongoing reality surrounding me. I put 100% positive vibes and at the same time I clearly discus the political and social situation in which we all live in . Hip-hop and reggae are the kind of music that can smile and motivate. ” The key themes of his new release are equality and justice. The musician believes that these issues today are relevant throughout the world. On the new EP, Jerry continues to collaborate with Ukrainian sound producer Yuri Medved (aka Kodzu). 2018 is a productive year for the artist, they together recorded the debut mini-album Takeover, two singles and a another new release. “The second EP began for us suddenly! In the summer, during the tour we went down from the stage and already felt what tracks we would like to play. We returned to the next hotel and quickly made sketches. Fortunately, the laptop was always at hand”, recalls Kodzu. The work on the release was continued in Kiev at the cult studio Na Hate Records. With the choice of a new music vector, Jerry immediately had a vision of future tracks. Melodies and lyrics flowed out of it. Kodzu admits that at some point it became difficult for them to choose the parts that will be included in the final version of each of the five release tracks. Among other things, the new EP has a collaboration with one of the the most experienced group from Kramatorsk, Mamanet. Adherents of electronic music, funk and new jazz, Mamanet gave Jerry a powerful starting impulse. Kodzu turned it into the final track and that’s how the single “Fire” came out. 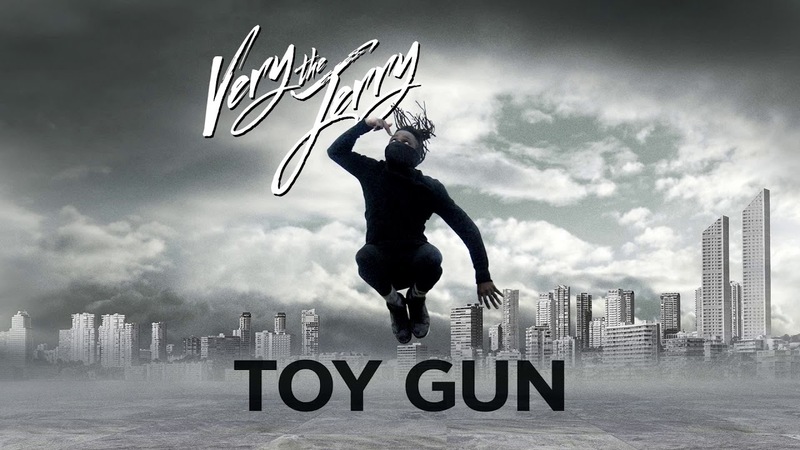 We can say that “Toy Gun” began with this song. The release also included the already well-known festival hit “Burn Da Beat”. Incendiary liquid funk with tribal rhythms and sticky chorus. “At concerts, this song always makes people go off and dance,” says Jerry. Well, now we can all do it at home!